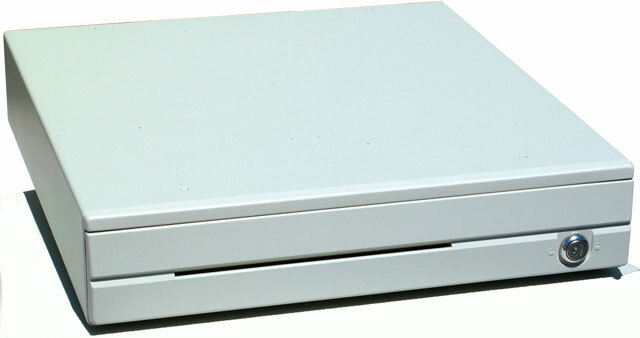 The CR3000 family of cash drawers have a footprint of only 15.7 x 16.1 x 3.3 inches for the space conscious purchaser and an internal cash tray that rivals much larger drawers through efficient use of internal space. Five bill and six coin compartments can be easily adjusted to customer's needs. Precision machined parts and ball bearings guides assure wobble-free drawer movement and an amazingly smooth ride. All drawers have contemporary styling a large media slot three-position key lock and no exposed screws for extra security.